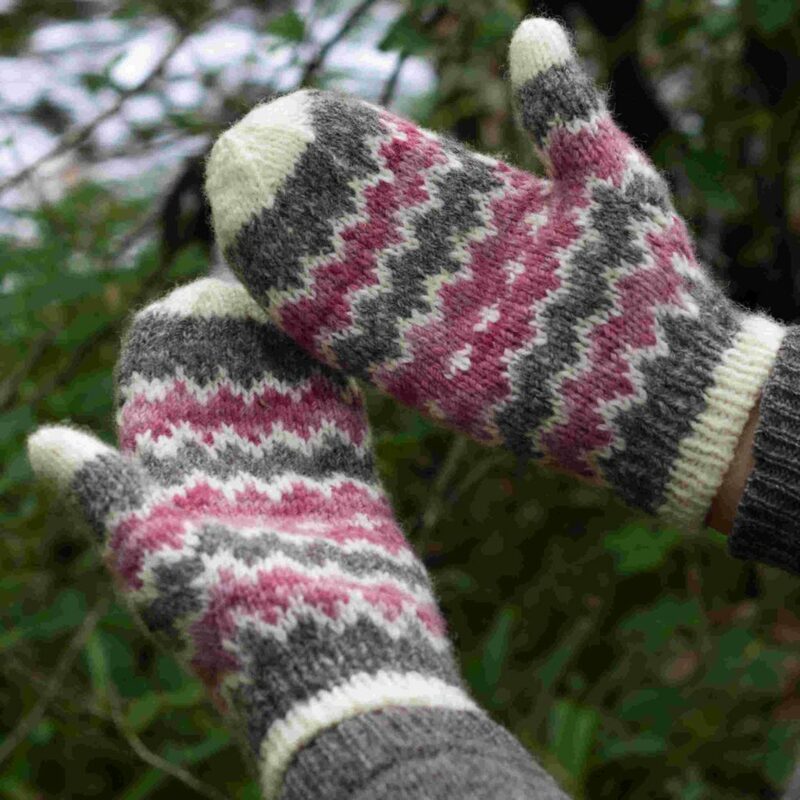 My lovely local friend Emily has designed the prettiest pair of cosy winter mittens in Black Isle Yarns Shetland DK. 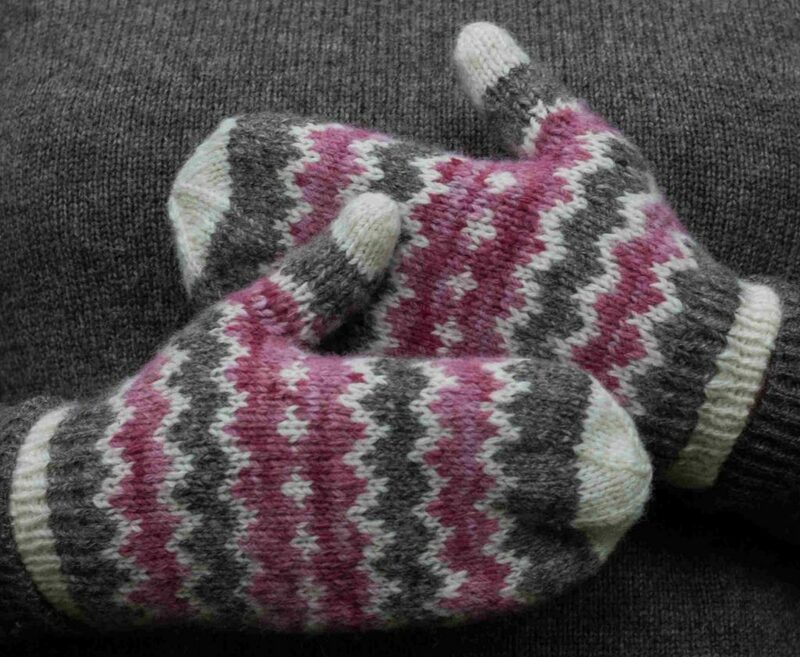 The Resolis Mittens use three mini skeins, one each of Natural Cream, Natural Grey Heather and Naturally Dyed Culloden. Resolis Mittens are just what you need for a winter walk by the beach. 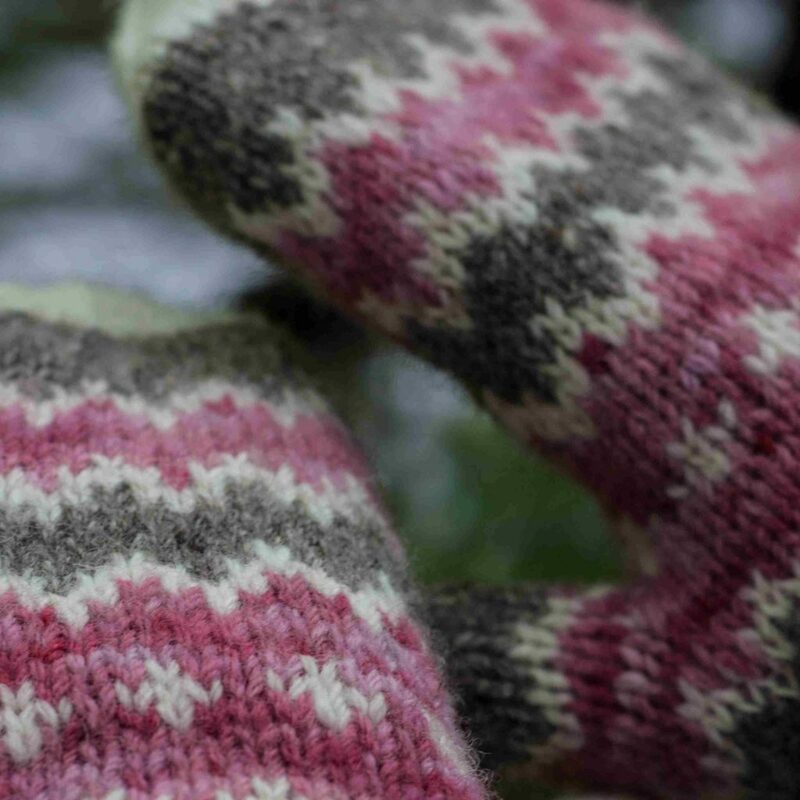 Using just three mini-skeins of Shetland DK and a simple 4 stitch colour work motif, these striking mittens are quick to knit and will keep your fingers toasty warm whatever the weather. They’re a great introduction to stranded colourwork……..I think I must knit my own pair so that I’m not tempted to get the sample pair mucky! Thank you Emily, once again, for designing something so beautiful for my yarns.